Popular among freedivers for its ultra-low profile. * The Sphera Mask is one of the lowest volume masks on the market. 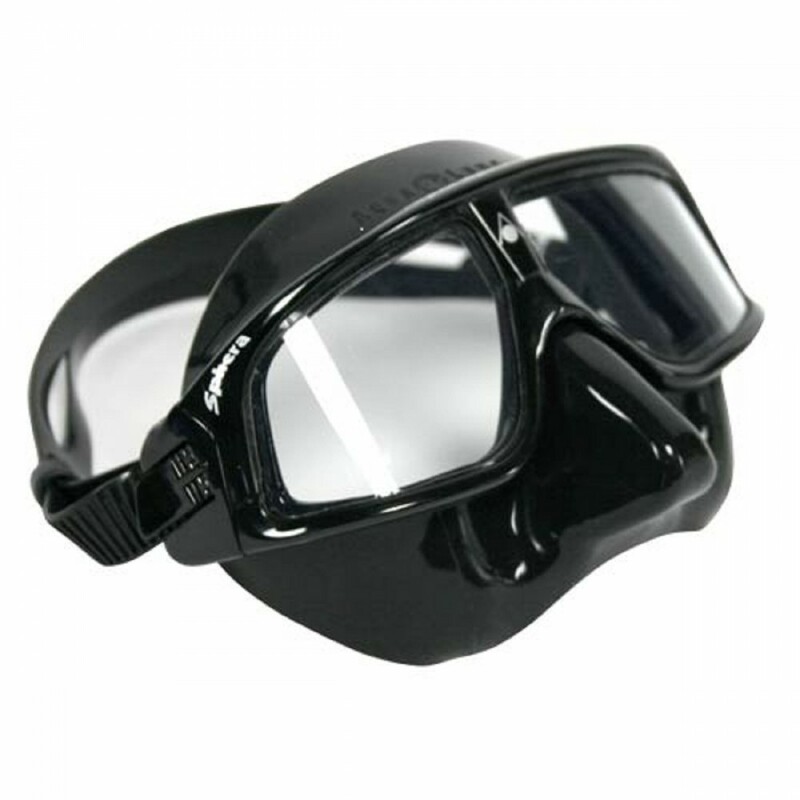 This makes it the number one choice for recreational and competitive freedivers and snorkelers. * The skirt and nose pocket are constructed of top quality Silicone providing maximum comfort. * Adjustable buckle system on the strap make it easy to get on and off. The Plexisol lens makes the mask lighter than other masks. • Brought back by popular demand, the extremely low volume Sphera is very popular with free divers around the globe. • 100% UVA & UVB protection. • Patented Plexisol lens provides 180-degree visibility. • Anti-fog and scratch-resistant coating. • Hydrodynamic styling. Easy-adjust buckle system.